Thanks for attending the Feb. 24th session. How did you find the pace? Was it too slow? Too fast? As always, I will be glad to receive your comments. The next session will be Wednesday, March 10th, 3-5 pm. Your homework is to finish reading Chapter 2, and read chapters 3-5. In the next session, we will not read all the text, but only read some excerpts. I will ask you to give short summaries of the chapters. If you find some interesting or useful articles or books in Japanese about CS Lewis, either general ones, or ones about the Narnia or other stories, please pass them on to me. Also, I encourage you to try and read some other works by C.S. Lewis. 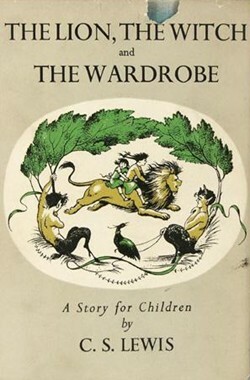 If his adult fiction sounds too difficult, then how about trying another Narnia story? Although the one we are now reading is the most well known, I think some of the other Narnia stories are even better and more satisfying. Thanks to one of our members (thank you, Yoko), below is a list of links to Japanese websites related to CS Lewis. Perhaps one (or more) of you will have enough time and interest to read something else by C.S. Lewis in Japanese and tell us about it at one of our future sessions. Tezukayama University library has a number of books, by C.S. Lewis, as well as books about Lewis, in both English and Japanese (actually more books in Japanese than in English). You can search the library online by clicking here. And here, a young mother blogs about reading Lewis’ Till We Have Faces: A Myth Retold (in Japanese, 顔を持つまで 王女プシケーと姉オリュアルの愛の神話). It’s nice and short, and gives you an idea of what it’s about, and whether you would like to read it or not. badgers – a well-known and well-loved wild animal in Britain. the meaning of “bluebottle“: is it a fly or a flower?